The Koronadal City Fire Office is now a proud owner of a one unit Austria-made Rosenbauer fire truck. This new tool to help protect properties and residents in the city in case of fire and other calamities is among the 76 brand new fire trucks distributed by the Department of Interior and Local Government (DILG) to different city-beneficiaries around the country and were acquired through the credit facility granted by the Austrian government. The price tag: more or less P7 million. Read HERE. 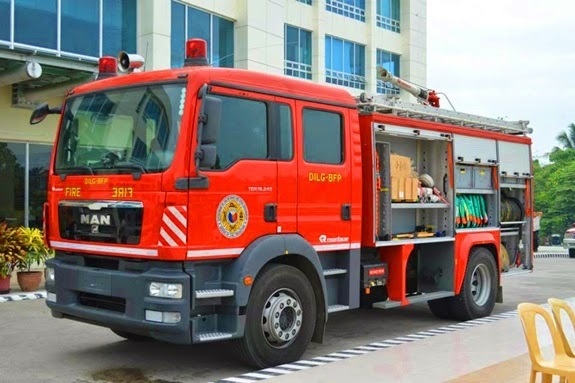 Dubbed as the Mercedes Benz of fire- fighting vehicles, this new Rosenbauer fire truck of the City of Koronadal is a 1000 gallon water pumper fire truck equipped with water cannons that can fire to a least 62 meters distance horizontally and 24 meters vertically or equivalent to an eight-storey building. 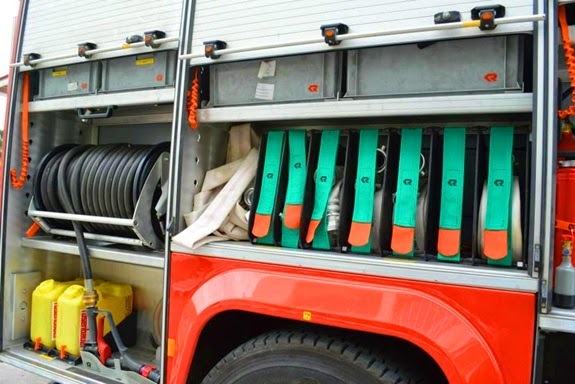 It has two small hoses which can be pulled out on-the-spot and has side lockers and compartments for easy access of fire fighting accessories and rescue of victims. It also comes with complete rescue tools, personnel equipment, emergency medical kit and other fire hazard tools. The brand new Rosenbauer fire truck was officially turned-over to the Koronadal City Fire Office last April 8, 2014.